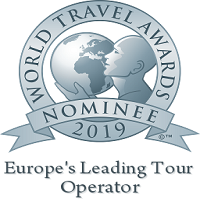 We are thrilled to announce that Enchanting Travels was nominated as Europe’s Leading Tour Operators in 2019 by World Travel Awards. Click on the link below and vote for us today! 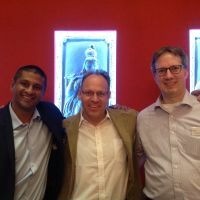 Enchanting Travels is all set to be acquired by Travelopia, the world’s largest collection of specialist travel brands. While the company will continue to operate as a separate entity, Enchanting Travels will be owned by Travelopia and become part of the Travelopia portfolio of specialist travel companies. The Enchanting Travels executive team and senior leadership teams will continue to lead and develop the company. Parik Laxminarayan, CEO of Enchanting Travels, will also join the Executive Leadership Team at Travelopia. Peru is one of the top gastronomic destinations in the world, and rightly so, what with Peruvian chefs breaking barriers when it comes to innovative and supremely delicious culinary delights. 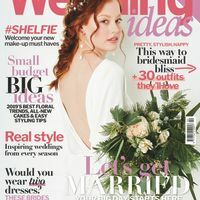 Wedding Ideas magazine features Peru as one of the top destinations for foodie honeymoons, inspired by Enchanting Travels’ Luxury Honeymoon and Beach tour in Peru. The magic of white marble never ceases to amaze honeymooners! Wedding Ideas Magazine features Oberoi Amarvilas, from Enchanting Travels’ Heritage & Luxury North India tour in their article about the world’s best Instagram-worthy honeymoons. Wedding Ideas Magazine are set to feature Amanbagh, from Enchanting Travels’ Luxury in Rajasthan vacation package, in their August 2016 edition. Jane Anderson puts Amanbagh, featured in Enchanting Travels’ Luxury in Rajasthan vacation package, on the list of top 10 honeymoons with a private pool by Wedding Ideas Magazine. In her top 10 roundup, Cathy Winston of Huffington Post features an Enchanting Travels private honeymoon to Sri Lanka. Dubbed a luxury wilderness, a private tour of Patagonia with Enchanting Travels is featured as an alternative honeymoon idea for 2016 by Wedding Ideas magazine. Already included as a case study within a Stanford Graduate School of Business textbook about successfully growing a business, Parik Laxminarayan, founder of Enchanting Travels, is interviewed by Edward D. Hess at the University of Virginia, to explain how he and his co-founder developed their unique business model! Travel writer Jane Anderson of 101 Honeymoon’s selects her top Adventure Honeymoons and includes Enchanting Travels On the Trail of the Tiger sample trip that allows for mingling with sophisticates in Delhi and Mumbai to watching another kind of cat in the wild.